For mysterious reasons, a man forsakes his American life and arrives in a strange country calledAndorra. He settles into the grand--and only--hotel in its seaside capital, and gradually makes the aquaintance of this tiny city's most prominent residents: the ancient Mrs. Reinhardt, who has a lifetime lease on the penthouse in the hotel; Sophonsobia Quay, the kayaking matriarch of an Andorran dynasty; and the Ricky Dents, an Australian couple who share a first name, a gigantic dog, and a volatile secret. As the stranger reveals himself to his new friends, and becomes entangled in their lives, the mystery of his own origin deepens. What is he hiding, and why? And when a mutilated dead body appears in the harbor, everyone is a suspect, including our narrator. 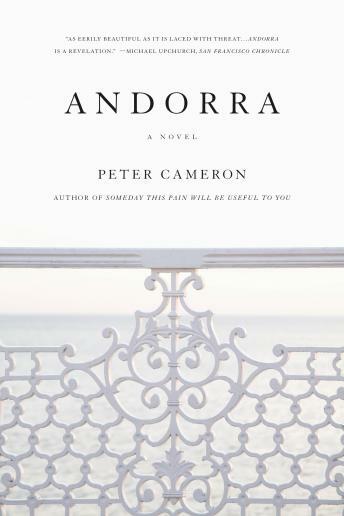 Part thriller, part comedy of manners, part surrealistic dream, Andorra is 'a work of remarkable and sustained invention and imagination . . . a nearly perfect book' (Robert Drake, The Philadelphia Inquirer).